Andela is a four-year, paid Technical Leadership Program in Lagos, Nigeria and Nairobi, Kenya. The program is designed to shape you into an elite software developer. Through your training and work with top global technology companies, you’ll master the professional and technical skills needed to become a technology leader, both on the continent and around the world. The curricula spans the following programming languages: Ruby / Ruby on Rails, Python / Django, PHP / Laravel, MEAN Stack, & Mobile Development (Android and iOS). The program application process is broken down into four parts: Application & Apptitude test, a self-study course, in-person interviews, and a two-week bootcamp. Once applicants have passed the four levels of the application process, they will be admitted into the four-year program. 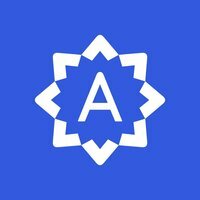 As an Andela Fellow, you are also eligible for continued training and employment with Andela for four years. . After the four year program, Andela Fellows can be expected to start technology companies, work directly with client companies as employees or continue to help train software engineers at Andela. An email with these details has been sent to Andela. You've already applied to this scholarship with Andela.